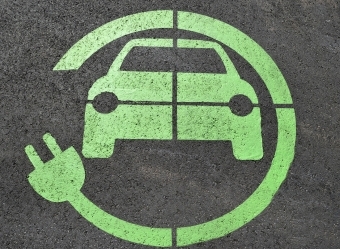 Ontario is helping businesses buy low-carbon vehicles and technologies that reduce emissions and foster sustainable development -- and the province is seeking public input. This investment is part of Ontario's Climate Change Action Plan and is funded by proceeds from the province's cap on pollution and carbon market. The new program will provide rebates towards the purchase of alternative-fuel vehicles and fuel-saving technologies, making it more affordable for local businesses to own and operate greener vehicles. Eligible vehicles and devices being considered under the program include electric and natural gas-powered trucks, aerodynamic devices, anti-idling devices and trailer refrigeration units. The program will encourage more businesses to make the switch to low-carbon vehicles to reduce greenhouse gas emissions from transportation, a sector that generates about a third of Ontario's total greenhouse gas emissions. Fighting climate change and reducing greenhouse gas emissions in Ontario is part of our plan to create jobs, grow our economy and help people in their everyday lives. "Creating a low-carbon economy is vital to the province’s continued economic success. The Green Commercial Vehicle Program will help businesses invest in fuel-saving technologies that will reduce greenhouse gas emissions. We’re committed to working with our partners and local businesses to modernize the way we do business and keep Ontario an attractive and sustainable place to work." The province is seeking feedback on the proposed Green Commercial Vehicle Program design, eligibility criteria, application and funding process, data collection, and innovation pilots. The program is posted for public review and will be open for comment until October 6, 2017. In 2015, the transportation sector accounted for 33 per cent of Ontario’s greenhouse gas emissions. In that same year, 31 per cent of Ontario’s total transportation sector greenhouse gas emissions came from the road-based movement of freight. Greenhouse gas emissions from road-based movement of freight in Ontario have doubled from 1990 to 2014.